After the Ottoman Empire (Turkey) was defeated at the siege of Vienna in 1687, where Jan Sobieski's Polish troops led in the liberation of the encircled city, the Habsburg Monarchy with the help of German and Polish forces pushed the Turks from most of the Kingdom of Hungary out. As much of the Pannonia Plain was depopulated during the 140 years of the Turks occupation, after the Ottomans were expelled, the Austrian Habsburgs, who also inherited the crown of Hungary, began to resettle the land with various colonists. Croats, Slovaks, Serbs and Germans. The German colonization in southern Transdanubia began in 1689. Even though, some came from Swabia, the German settlers also came from Palatine, Hesse, Westerwald, Fulda, Bavaria and Franconia. As the new colonists were mainly German speaking people, who as mentioned already came down the River Danube from the embarkation port in Swabia, a new nickname for the area was formed: The Swabian Turkey. The settlers were often induced to migrate to Hungary with the promise of three years without taxes. All the settlements in Swabian Turkey were organized through private ventures run by the nobility or the church. Germans also settled extensively in the major towns of Pécs (Fünfkirchen) and Mohács. Already in 1688 the Bishop Matthias Ignatius Radanay of Fünfkirchen (Pécs), owner of vast landholdings in and around the city, wrote to the Hungarian king in Vienna, who was as we know at the same time also the Emperor of the Holy Roman Empire, a request to help bring the destitute Catholic people from Swabia, who lost their home and livelihood through the invasion of the French. He was willing to accept groups of 50s, then groups of 100s and eventually accept many thousands of those destitute souls, provided they were all Roman Catholics. III. 1781-1787 - under Emperor Josef II, who rained 1780-1790. Contrary to the settlement of the Banat, which was owned directly by the Emperor, and where the settlers received money and goods to help them establish themselves, all the settlers in other areas, including the Swabian Turkey, by early 1700’s needed 200 Gulden to put their roots on a manorial estate. This was documented by the “Reichsfürst” of Fulda, the Abbot Constantin von Buttlar, on 28th of May 1718. Today this oldest surviving document of that kind is to be seen in the Archives of Marburg an der Lahn in Hesse, Germany. 30 of the 200 Gulden were needed to build a house. 30 Gulden was needed to buy three steers. 14 Gulden were supposed to cover the price of a cart, plow and a harrow. 44 Gulden were needed for four big oxen with which to break the Steppe in. Two would be plowing that day; the other two would have a rest. 22 Gulden were necessary for two horses. 40 Gulden had to be put aside for four cows and four calves, to start the dairy farming business. Three Gulden would buy two mother pigs. The rest of the money was needed to buy the food until the next harvest. The nobles sent their agents to Vienna or the Danube ports en route to entice the German settlers heading for Banat to settle on their lands instead, by promising the travelers better initiatives. Some families decided to shorten their travels and head the calls, specifically those of non Roman Catholic faith, as they were unwanted in the Habsburg’s Banat. One of the large landowners in the Swabian Turkey was Count of Mercy, the governor of Banat. So he would not be accused of stealing the Banat heading settlers, he accepted also Calvinist, Lutheran and Reformed settlers, but went out of his way to establish his villages primarily as per religion. He was powerful enough to protect his non Roman Catholic villages against the wishes of the Crown. If we have a quick look at the settlement dates of the German villages in the Swabian Turkey, we can see that the Abtei Pöcsvarad (owned by the Bishop of Pécs) established some of the villages already in the year of 1700. Since the Swabian Turkey was close to the major cities, like Budapest and Pécs, quite a few of its sons and daughters migrated to the cities, when the farming settlers were well off financially to give their children a better education. The inheritance laws at least in the Lutheran villages, were practiced as per the customs back home: the oldest son inherits the farm, while he in turn has to pay his siblings out or fund their education. Even though Hungary was not part of the Holy Roman Empire of the German Nations (800-1806), their King was at the same time also the Emperor of Holy Roman Empire, so it was administrated under the same crown. As of 1806 to 1867 the boundaries of Holy Roman Empire changed and during that time it was known as Austrian Empire, but also included Hungary. 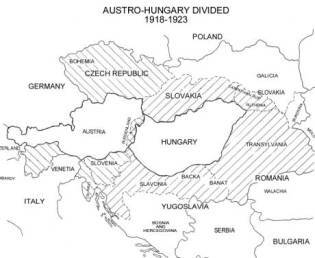 In 1867 Austria through political maneuvering had to give Hungary equal rights and until 1918 the Empire was known as Austro-Hungary. General Mercy was granted vast properties in Tolna and purchased more villages. Implemented the settlement policy of ‘one village one nation one religion’. In order not to be seen as competing with the Habsburgs for settlers, he preferred the Protestants versus the Roman Catholics, which the Emperor advertised for settlement in the Banat. Dr. Ignaz Philipp Semmelweis introduced antiseptic measures in all Hungarian hospitals to eradicate the septicemia or “child fever” in maternity wards. It quickly produced positive results. The mortality in the wards fell from 40% to almost 0% by the end of the year. Since then Semmelweis was known as the Savior of the Mothers. He also introduced antiseptic prophylaxis in obstetrics and surgery still practiced around the world to this day. Moritz Perczel, born in 1811 in the Tolna. Was in 1848 Colonel of the Honved army. After the capitulation flew to Turkey, later to England. Returned to Hungary after 1867 and became a senator. Nikolaus Perczel, the brother of Moritz, born in 1812, was Major along with his brother Moritz, became the commander of the Peterwardein fortress and later of Arad fortress. Flew after 1848 (both were condemned to death) to Turkey and later to North America, where he became Colonel in the State of Iowa. Returned after 1867 Ausgleich to Hungary became premier of County of Baranya and as of 1887 Senator in Hungary. Died in 1904. Julius Gombos the Prime Minister of Hungary in the mid 1930's in the Horthy Government. His father was a Lutheran school teacher who served in town of Murga in the Tolna and married a girl from there where their son Julius was born. Although Julius was a fanatic Hungarian nationalist his mother could not speak a word of Hungarian! Anton Varadi, born in 1854 in Zavod, Swabian Turkey, as WEBER. Stefan Tomorkenyi (1866-1917) originally STEINGEISSNER. Julius Somogyvari, born in 1895 as PREISSBERGER. 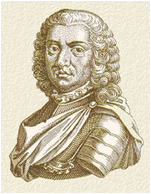 Johann Weidlein who was also born in Murga who became one of the leading authorities of the dialects spoken in the Swabian Turkey and was a well-known Hungarian historian. Josef Schmidt, historian and researcher. Henry Kerri of Kaposszekcsö, historian and researcher. Gyorgy Mueller of Izmény, researcher and historian. Henry A. Fischer, author and historian. Our ancestry home in the Swabian Turkey soon became too small because of the population explosion and when the Military Boarder was abolished about 1865 in Croatia and Slavonia, many of the younger generation moved there on their own initiative. Now they were in a different country, even though independent Slavonia was still partner of the Hungarian Parliament. Hrastovac was the very first of the ethnic German settlement in Slavonia. By the beginning of the 20th century, there was no agricultural land available at any price in the Swabian Turkey or in Slavonia. Another wave of young people left for the Americas, while some moved even more south, to the newly freed Bosnian territory. 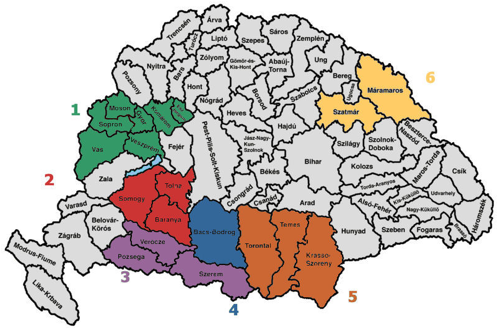 Bosnia was only finally freed from the Turks occupation in 1908, and was directly administrated by the crown, just as Banat was back in 1722. However, the Empire of Austro-Hungary was falling apart with the end of WWI, and it was divided in eight different countries. Difficult times followed not only for the Danube Swabian populations, but for their neighbours too. First came the recession of the 1920's, followed soon by the WWII and with it, the good times for our Donauschwaben was lost forever. By Christmas of 1944 the Red Army had overrun and taken all of the Swabian Turkey. They met little resistance. Then the drums beat in the village streets as the town-crier announced that all men between the ages of 17 to 50 years and all women 17 to 40 years were to report for registration for labour. In January of 1945 transport trucks with armed Russian soldiers collected the people. They were taken to the Soviet Union as forced labourers to the area around Rostov in the coalmining region of Dornbas in the Ukraine. They were the "war reparations" Hungary had to pay for being an ally of Germany. The Czechoslovak Government, the Polish Provisional Government and the Control Council in Hungary are at the same time being informed of the above and are being requested meanwhile to suspend further expulsions pending an examination by the Governments concerned of the report from their representatives on the Control Council." The Danube Swabians of Hungary were continued to be ordered expelled back to Germany where they originated from to accommodate the Hungarians being expelled from Yugoslavia and Czechoslovakia. This was part of the "Humane population transfer" that would set all things right in Europe forever. It meant the expulsion of 15 million ethnic Germans throughout Eastern Europe. During the process two million would die. Our Donauschwaben who could did flee their ancestry lands ahead of the Red Army. Those that did not manage to flee fared in former Yugoslavia the worst. All of them, babies, children, old people were thrown in Tito's starvation camps, which were only disbanded in 1949. Most of those starvation camp inhabitants did not survive to see the freedom. The Danube Swabian experience in Swabian Turkey was unique from the Banat and Batschka because they were not part of the organized state sponsored and subsidized settlements, which resulted in planned villages and houses built before they arrived. Their experiences with the landlords and nobles and the injustices their suffered have no comparisons with the Banat or Batschka. Today us Donauschwaben are dispersed in all corners of the world. Majority are living in Germany, Austria, Brazil, USA and Canada.